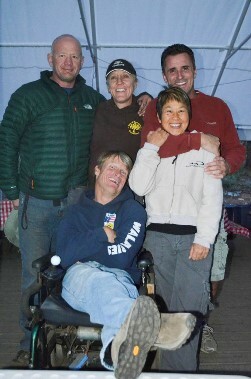 Born with a severe form of cerebral palsy, Steve went to the wilderness camp from ages 9 to 18, and he says it remains his “favorite place on Earth.” Located in the high Sierras of California, the camp offered activities like camping, water skiing, climbing, archery and more. Now married with two kids, Steve still thrives on challenging himself just as he did at summer camp. He says, "whether you're disabled or not, everyone has their issues that they battle with every day. All I'm saying is you're only put on Earth once [so] go find your own El Capitan." You just might find it at an Easterseals camp. Have the time of your life at an Easterseals camp for people with disabilities. Not sure if camp is right for you or your child? Here are the benefits of camp. Read how Steve Wampler and his wife fell in love.